Indian Coast Guard Navik DB Syllabus 2019: The candidates were called by the Indian Coast Guard for the post of the Navik in the Domestic Branch. Those who are interested can apply for the application before the last date. Aspirants who have already applied should start their preparation for the post of Domestic Branch. For the exam preparation, candidates can check the exam pattern and download Indian Coast Guard DB Exam Syllabus. Through this article, the candidates can also check other essential exam details such as Indian Coast Guard Navik DB Exam Pattern, previous year question papers and more important topics. Latest Update: Indian Coast Guard is going to conduct the Navik Written Examination 2019 in the coming months. 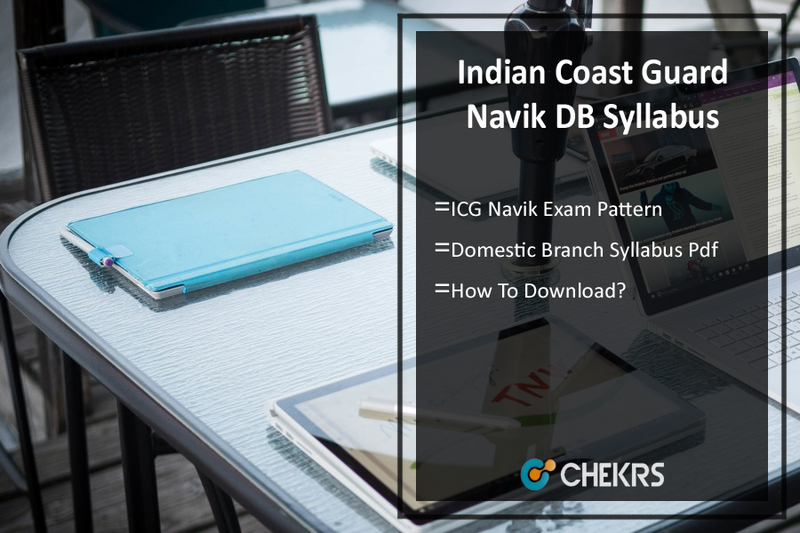 Candidates can check the ICG Navik DB Syllabus 2019, exam pattern from here. (भारतीय तटरक्षक नाविक डीबी पाठ्यक्रम): Thought the written exam will not be much difficult but once going through the ICG Navik DB Syllabus 2019 can clear the doubts. The candidates are informed that the exam of the Navik DB will consist of subjects such as Quantitative Aptitude, Mathematics, General Sciences, General English, General Awareness (Current Affairs & General Knowledge) and Reasoning (Verbal & Non-Verbal). Going through the Indian Coast Guard Domestic Branch Syllabus will make it easy for the candidates to learn facts on a daily basis. The candidates are informed that the Navik DB Exam Syllabus 2019 will be the best help for them to prepare for the exam. Most of the times the candidates are in confusion for what topics they should study and what should be left. All the doubts regarding the studies are cleared to the through the topics provided to them. Kindly go through the topics given in the table of ICG Navik Syllabus. The Indian Coast Guard is one of the prominent organizations for providing jobs on a regular basis. It is also a great gateway for the candidates who are looking for Government Jobs. The candidates can keep checking our website for updates on such jobs. For more genuine details for Indian Coast Guard Navik DB Syllabus 2019, keep visiting jobs.chekrs.com. If you have any questions leave it in the comment box to ask and get answered by us.